Who would have thought that this Vancouver Canucks squad could etch their names into the history books? It’s taken a lot of losing, a leaky defence and a barrage of injuries, but the Canucks are on the verge of making history as the first team to finish 31st overall in the league. Despite their mediocrity, it was a feat that no one believed was possible. They started too strong, and they were miles ahead of sad-sack clubs like the Buffalo Sabres and Arizona Coyotes. Well, that’s not the case any longer. After being shut out for the second straight game, Team Tank awoke from a three-hour nap and danced in celebration. With the Ottawa Senators stealing two points from the Florida Panthers on Monday night, the Canucks were bumped down to 29th overall in the standings. Do you recall that annual talk about how nearly 80% of teams who are in the playoffs come American Thanksgiving, end up making the playoffs? The Canucks were clearly in the minority. After a decent start to the season, the Canucks sat at 11-8-3 overall, giving them the first Wild Card birth in the Western Conference. They kept up their strong play up until Bo Horvat went down with an injury during a game against the Carolina Hurricanes on Dec. 5. Since then, the Canucks have hands down been the worst team in the league. Other than the presence of Brock Boeser coupled with some good old-fashioned Sedinery, this has been a brutal stretch of games for them. They’ve gone 11-26-5 since Jacob Markstrom registered his first career shutout against the Hurricanes. That night was peak Derrick Pouliot, peak Markstrom and peak Canucks. They’ve been dragged through the mud by nearly every team in the NHL since then. At this point in the season, it’s all about lottery odds and setting records. Will They Make NHL History? 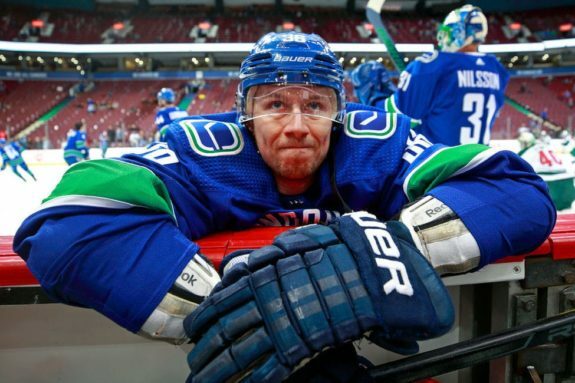 Not only does it look like the Canucks will cement their place as the first team to finish 31st overall, it truly feels like they’re never going to win a game again this season. The Sedins look defeated from three years of losing. Bo Horvat is talented, but he’s no Connor McDavid and can’t single-handedly carry this team offensively. The rest of the forward corps consists of aging veterans, fringe NHLers, guys playing for jobs or some combination those three options. On defence, their best player, Chris Tanev, remains out and Erik Gudbranson occupies his spot on the top pairing. 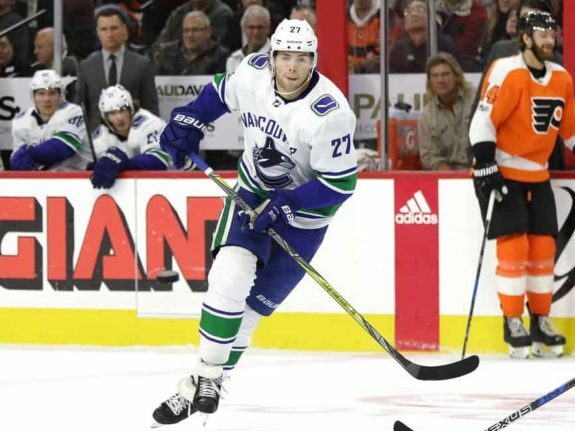 Michael Del Zotto continues to get creamed in terms of possession, while Ben Hutton and Derrick Pouliot are still trying to prove that they can cut it at the NHL level. All of these factors, combined with an unfriendly schedule, makes it hard to believe that the Canucks are going to win many, if any, games before the season concludes. It likely means that this injury-riddled squad is in store for a sad finish, one that possibly lands them at 31st overall. Another reason why the Canucks are bound to etch their names into the history books, is because the teams behind them are closing in. The last-place Arizona Coyotes are now within four points of the Canucks with two games in hand. That comes after the Coyotes beat the Canucks twice in a week. The Buffalo Sabres, the other club trailing (leading?) the Canucks are also 5-4-1 in their last ten games. The Canucks have one more showdown with the Coyotes on Thursday, April 5 — the second-last game of the season. That game could be vital in the Canucks securing 31st overall, being the first team in NHL history to achieve such a feat. Get the champagne and/or tissues ready.